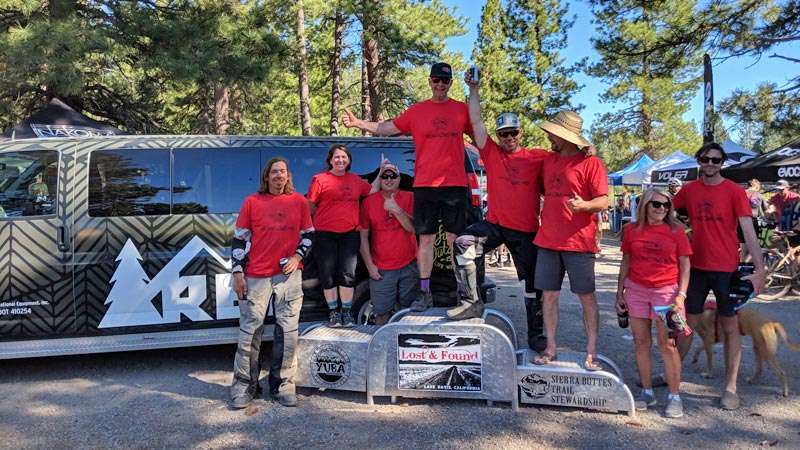 The sixth annual Lost and Found Gravel Grinder cycling event put on by the Sierra Buttes Trail Stewardship (SBTS) attracts more than 1,500 cyclists from around the country to Portola every first weekend in June. This year the event will be held Saturday, June 1, starting and finishing in the Portola City Park. The event will feature three different distance routes that head north to the beautiful mountains and meadows surrounding Lake Davis. This event is a fundraiser for SBTS, with all proceeds going back into community trail projects including the proposed Beckwourth Peak Trail in Portola. The event cannot happen without the community’s involvement, and SBTS is seeking volunteers for a wide range of responsibilities, including course marshals and traffic controllers, a great role for local residents who know the roads well. All volunteers will be rewarded with a free event T-shirt and socks, free lunch and a ticket for an “adult beverage,” available free in-town camping and making new friends with fellow fun-having, hard working Americans! For information or if interested in volunteering, email [email protected] or visit lostandfoundbikeride.com/lost-and-found/volunteer .